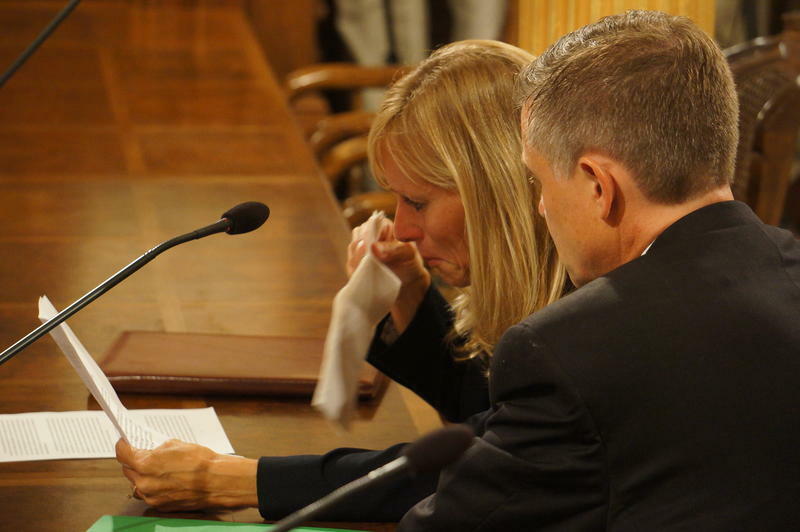 State Representative Cindy Gamrat (R-Plainwell) weeps as she delivers an apology to the House committee considering disciplinary action against her and state Representative Todd Courser (R-Lapeer). 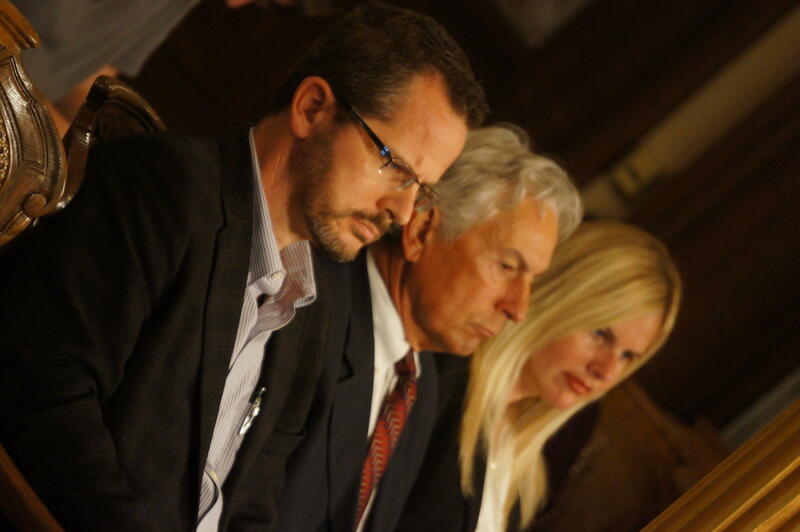 State Representative Todd Courser (R-Lapeer) sits in the audience with his legal team as profanity-laced “controlled burn” e-mail is read into the record during hearing on possible disciplinary action. The House legal counsel recommended censure for Gamrat, but said Courser should be expelled immediately. The special committee is expected to meet into the afternoon and tomorrow. The committee will make a recommendation to the full House. It would take a two-thirds vote of the House to remove a lawmaker. In a press conference held last month, Gamrat said she had no knowledge of Rep. Courser's plan to send a phony e-mail designed to distract people from their affair. Today, she admitted knowing about the e-mail. For the first time, Gamrat acknowledged that she and Courser discussed the concept of a "controlled burn" email he eventually sent in an attempt to discredit any real revelations of their affair, although she said she did not know specific contents of the email at the time. "I take full responsibility for my role in Representative Courser's plan and the resulting harm it has caused," said Gamrat, who had previously and publicly denied any knowledge of the email before it was sent. Rick Pluta discusses the Courser-Gamrat hearings on "Stateside with Cynthia Canty"